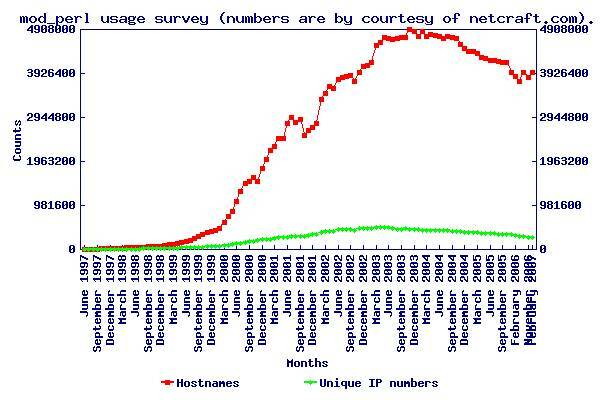 Netcraft provides usage statistics for mod_perl, grouped by host name or unique IP addresses, which we collect here every month to create a graph displaying the evolution of mod_perl usage. The script that produced this graph and the raw input data is available. If your site is running mod_perl, tell the Netcraft survey.